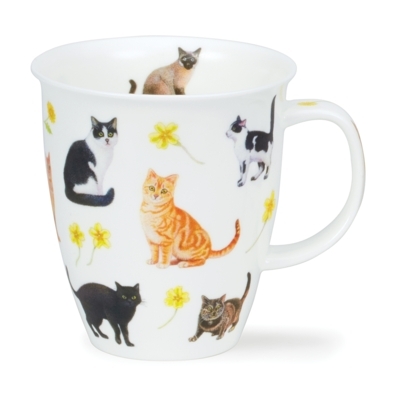 We all love flowers, and a lot of us love cats. This Richard Partis design combines them both. This yellow themed pattern features primroses and yellow daisies.